Runners who enjoy the Lake District fells have made a significant contribution towards the upkeep of the areas they love. 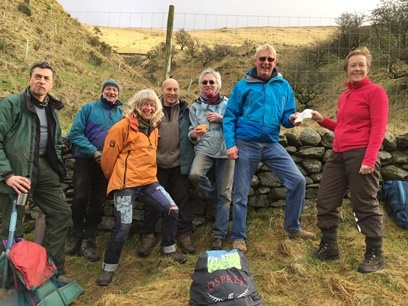 Dallam Running Club, a small running club based in the South Lakes, has raised £1000 for Fix the Fells, the project which repairs and maintains the upland paths they use. The two races concerned are “The 20 Barriers Race” in early July based at Carnforth High School, and “The Arnside Knott Race” at Holgates Caravan Site with the support of The National Trust in mid November. In many areas erosion has led to vegetation being killed and unsightly scars being created across popular fells, like Scafell Pike and Helvellyn. Erosion also leads to soil being washed into streams and lakes and the loss of important animal and plant species. One of the challenges will be to repair footpaths that were damaged by Storm Desmond in December 2015. More than 100 of these paths are scheduled to be repaired over the next 18 months.